You never needed to phrase a search as a question in order for Google to provide an answer, but that didn't stop many of us from doing so anyway. And this was before smartphones and tablets started prompting us to ask questions using our voice. Fortunately, the habit hasn't stopped Google from telling us what we want to know, and now the search engine is becoming smart enough to understand some of our more complicated questions. 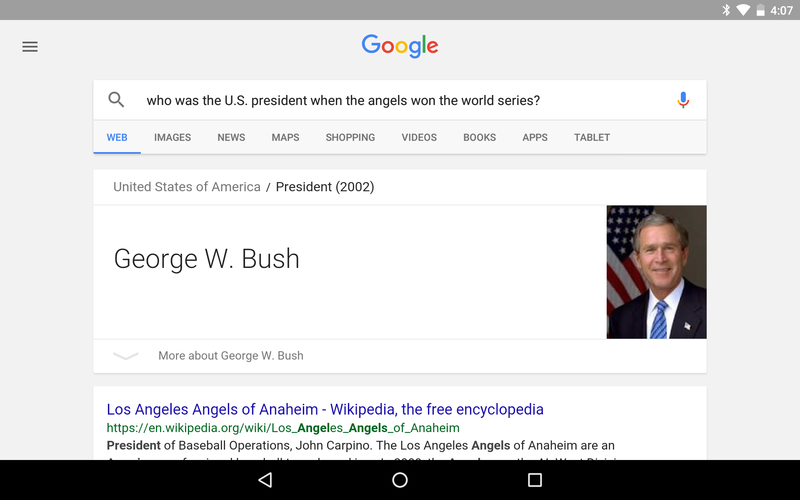 Google says its Search app can now understand the meaning and intent of the questions you ask. Take the picture above providing the question: Who was the US President when the Angels won the World Series? Google goes through multiple steps to find the answer. The question prompts it to look through the list of presidents in the country provided. It then combines this information with the latter half of the question, which requires comparing the provided baseball team with the list of World Series winners. 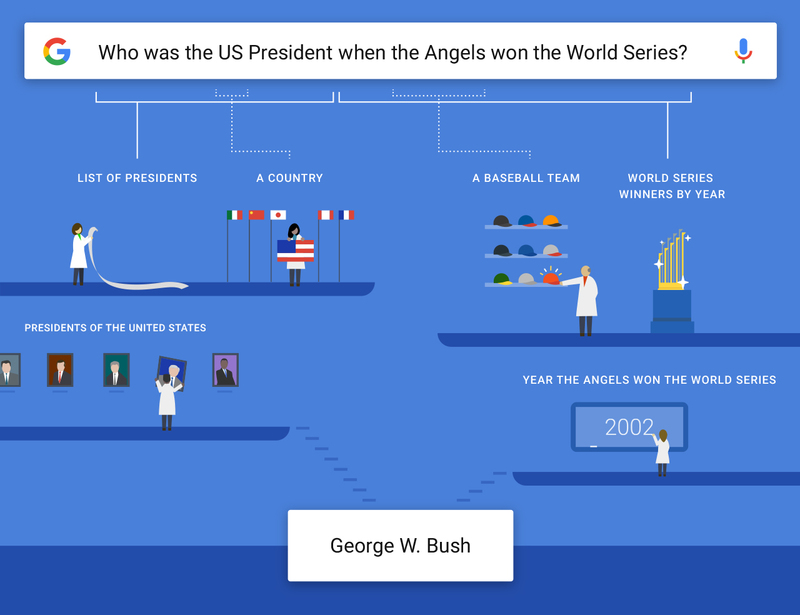 With this information, it can then deduce that the president of the United States in 2002, the year the Angels won the World Series, was George W. Bush. If you're not near your phone, you can get the same answer by searching on the web. Other examples of complex combinations Google says it's ready for include What are some of Seth Gabel's father-in-law's movies? and What was the U.S. population when Bernie Sanders was born?